Temporary Protected Status (TPS) is a temporary benefit provided to nationals of a country designated by the Secretary of Homeland Security as unable, due to conditions in the country, to safely handle the return of its nationals.1 2 If a national of a country designated for TPS is granted TPS, he or she is not removable from the United States, may be granted an employment authorization document (EAD), and may be granted authorization to travel. However, TPS is a temporary benefit and it does not lead to any lawful permanent resident status or any other immigration status. TPS beneficiaries may apply to change to a nonimmigrant status, adjustment to permanent resident status, or for an immigration benefit for which they are eligible. In order for a person with TPS to maintain his or her status, he or she must re-register for benefits during the re-registration period for his or her country designated for TPS. Nationals of a country designated for TPS who come to the United States between registration periods and would qualify for TPS if not for that are eligible for temporary treatment benefits instead. This article will explain who is eligible for TPS, how to apply for TPS, benefits that come from TPS, and the process for adjustment from TPS. Is a spouse of an individual who is eligible for TPS. Furthermore, any person who was an unmarried child of a person eligible for TPS at the time of the TPS designated country's initial or re-designation period is eligible regardless of late filing. The applicant must have been continuously physically present in the United States since the effective date of the most recent designation date of his or her country and have been continuously residing in the United States since the date specified for a given country. Applicants may still be eligible if they have had “brief, casual, and innocent departures from the United States” since the effective date of the most recent designated date for a TPS country. An applicant must disclose any such departures to USCIS when applying or re-registering for TPS, and USCIS will determine if the applicant is still eligible for TPS status. Fail to re-register for TPS without good cause. Evidence of identity, and evidence of nationality of a country designated for TPS; the following table courtesy of USCIS are the types of evidence for this that they accept, with primary evidence being preferred. An explanation why the consular process for your country was unavailable to you, and affirming that you are a national of your country. USCIS will interview you regarding your identity and nationality, and you may also submit additional evidence of your nationality and identity then if available. Affidavits from friends or family members who have close personal knowledge of the date and place of your birth and your parents' nationality. The person making the affidavit should include information about how he or she knows you or is related to you, and how he or she knows the details of the date and place of your birth and the nationality of your parents. The nationality of your parents is of importance if you are from a country where nationality is derived from a parent. If an applicant cannot afford the fee for filing for TPS benefits, he or she must file a fee waiver request on a Form I-912, Application for Fee Waiver. If the fee waiver request is denied, the applicant may file fees for whichever is later between the registration deadline and 45 days after the date on the fee denial notice. If an applicant is aware that he or she has a relevant ground for inadmissibility, he or she must include a Form I-601, Application for Waiver of Grounds of Inadmissibility, along with his or her TPS application. Waivers are granted for certain inadmissibility grounds, for humanitarian reasons, to preserve family unity, or if USCIS determines it is in the public interest. Provided that a ground for inadmissibility is waived, the applicant will not need to include it on a Form I-601. However, if the applicant has a different ground for inadmissibility on a later application, he or she will need to include that on a Form I-601. After submitting an applicant submits his or her application, USCIS will review it to determine if the applicant is eligible for TPS benefits and, if the applicant applied for it, an EAD. During the review, USCIS will schedule an appointment at an Application Support Center (ASC) for the applicant to have his or her biometrics taken. If a TPS beneficiary has previously done this, the ASC appointment may be skipped if the previously taken biometrics are reusable, although the applicant will still have to pay the biometrics fee. Near the end of the process, USCIS may send a request for evidence (RFE) or a notice of intent to deny if the submitted evidence is insufficient to approve the applicant for a TPS. If this happens, the applicant must respond expeditiously to preserve his or her chances of being approved for TPS. If USCIS ultimately denies the TPS application, the applicant may be able to appeal within 30 days of the denial at the USCIS Administrative Appeals Office. Appealing requires the filing of a Form I-290B and a $630 fee or Form I-912, Application for Fee Waiver, if the applicant cannot pay the fee. TPS applicants who were denied on certain criminal or security grounds may be ineligible to appeal, though they may still request review by an immigration judge. Applicants who are considering appeals of a denial of TPS should consult an experienced immigration practitioner to assess if appealing the denial of TPS is the best course of action for them. If TPS is granted by an immigration judge or the Board of Immigration Appeals, the person on TPS must submit proof of the TPS grant when he or she files for his or her first TPS benefit. All people with TPS must re-register during each re-registration period. The re-registration period varies depending on the country designated for TPS. 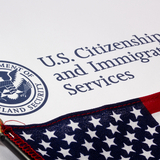 If a person with TPS changes addresses, he or she must notify USCIS immediately. Persons on TPS may travel abroad after being granted advance parole and subsequently be readmitted under TPS status rather than as a parolee provided that they return in a timely manner.11 However, since the grant of TPS does not waive the 3 or 10-year bars of inadmissibility, a TPS beneficiary who had accrued the requisite amount of unlawful presence should consult with an experienced immigration attorney before seeking to depart under a grant of advance parole.12 However, do note that pursuant to Matter of Arrabally & Yerrabelly, 25 I&N Dec. 771 (BIA 2012), attempting to reenter to the United States after being granted advanced parole will not trigger the 3 or 10 year bar of inadmissibility if the returnee has a pending adjustment of status application. While TPS is a powerful benefit, it is important to be aware of its limitations. TPS is, as its name indicates, a temporary benefit. If an alien's country loses its TPS designation, he or she will lose TPS benefits as soon as the registration period runs out. For this reason, persons on TPS should, in addition to ensuring that they maintain TPS, consult with an experienced immigration attorney to determine eligibility for adjustment of status. Provided that a TPS beneficiary is eligible for adjustment, TPS functions as a bridge to obtaining a permanent immigration status. Persons from countries designated for TPS should consult with an experienced immigration attorney prior to applying for TPS, both for an evaluation of eligibility for TPS, and in order to determine whether based on specific circumstances, whether the alien may be eligible for a less temporary immigration benefit. Since the application process for TPS requires numerous forms and knowledge of the different registration periods for TPS designated countries, persons who are seeking TPS should consult with an experienced immigration attorney for assistance in the TPS application process. Kurzban 687, citing Legal Opinion, Virtue, Acting G.C. (Mar. 4, 1991), reprinted in 68 No. 15 Interpreter Releases 461, 483-86 (Apr. 22, 1991); AFM at 40.6.2(a)(3)(ii); Serrano v. Attorney General of the U.S., 655 F.3d 1260 (11th Cir. 2011). Also notes that in Flores v. USCIS, 718, F.3d 548 (6th Cir. 2013), court held that INA § 244(f)(4) allows for TPS beneficiaries to adjust status who are EWI, and that USCIS's interpretation is unreasonable. Kurzban, Ira J. Kurzban's Immigration Law Sourcebook: A Comprehensive Outline and Reference Tool. 14th ed. Washington D.C.: ALIA Publications, 2014. 687-88,. Print. Treatises & Primers. Weissbrodt, David and Laura Danielson. Immigration Law and Procedure in a Nutshell. 6th ed. West, 2011. 351-52, Print. West Nushell Ser.